Today’s homes are being constructed to be as energy efficient as possible. That means that they are very tight. When water enters this environment and is not dealt with correctly, the problems that may occur are almost endless: the “color” (stain) in wood furniture can cause permanent stains, carpets may need to be replaced, furnishings can be permanently damaged, damage to walls and ceilings can be permanent and the possibility of microbial growth can become a real concern. All of this and more can result from just a little water. A broken pipe can occur at any time and in any part of the house. When this happens on an upper level, however, the need for expediency is even more important, and a homeowner certainly wants a true restoration professional when such an event occurs. Houses today are built in all styles and methods throughout the country. In some areas, it is common practice to place hot water heaters and air conditioning systems in attic spaces. In other parts of the country, it is common to have washers and dryers installed on the second story for the convenience of the homeowner. It is also becoming more common to have sprinkler systems installed in the ceilings of single family homes and condo units. Even plumbing lines are installed through the ceiling. Multiple family dwellings are also becoming more popular than ever before. These newer structural items, along with the usual plumbing from bathrooms and other water sources on upper levels indicate that a water loss from an overhead or upper level water source has the potential to present a very serious water damage claim, which could become extensive if not mitigated promptly and correctly by a restoration professional like the team at PuroClean Certified Restoration. Upon arriving at the damaged home, our restoration professionals will immediately evaluate the potential safety issues. The potential for electrical problems are of the utmost concern. Ceiling light fixtures are common and present a significant potential hazard from an overhead water source. Our restoration professionals will alert the property owner whenever a professional electrician is necessary to address this concern. Damaged drywall on the ceilings may present a danger of falling. It needs to be addressed promptly. It is necessary to protect everyone who enters the structure. There are also, of course, the potential trip hazards as a result of fallen debris. It is a function of the restoration professional to protect individuals in this environment. After addressing the safety concerns, the contents and furnishings within the home need to be protected. Water coming from above can cause serious damage to upholstered furniture, electronic devices, decorative furnishings, and other personal items. Water can cause damage in many ways, including electrical shorts, corrosion, and promoting the growth of microorganisms. The longer left untreated, the more damage will occur. Furnishings need to be protected or removed from the site. 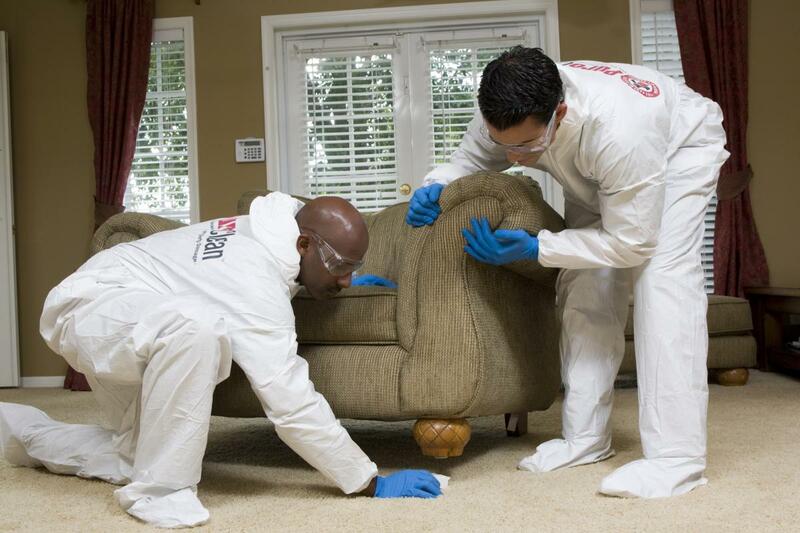 A restoration professional will remove debris from the items, move them to unaffected areas, and will ensure the safe handling of such items. If the damage is severe enough, arrangements will be made to move the items to an off-site location for appropriate cleaning and drying. The next step is to find the path of the water. Our restoration professionals know that water will find the path of least resistance through the home. It will continue to flow until it encounters a barrier to stop it. Plumbing and electrical lines are run between the levels, and these openings in the floors and wall systems allow for the flow of water, in addition to seepage through the flooring materials. When water comes to a horizontal surface, it will flow on top of the surface until it finds a way through. With the appropriate moisture detection tools, our restoration professionals will evaluate all surfaces for moisture and treat them accordingly. It will sometimes be necessary to cut open the drywall to allow for proper drying, especially if there is blown insulation inside the wall. The water must be found and removed. Often wallpaper can be a problem. If it is vinyl wall covering, it will act as a vapor barrier and prevent moisture from evaporating from the wall and wall cavity. It may need to be removed or perforated to allow for proper drying. True paper wall coverings may become permanently stained. When the glue gets wet, many types of wall coverings may release from walls. Vinyl flooring may also pose a similar problem and necessitate removal. If the sub-floor beneath these floor coverings gets wet, there is no easy way to dry it necessitating the removal of the flooring. Our restoration professionals will utilize both non-penetrating meters and penetrating meters along with visual examination to locate the water. Finding where the water is becomes the most important part of the restoration process. It is necessary to dry all structural components prior to starting the rebuilding process. Our restoration professionals know that the entire job requires constant monitoring. The structural materials need to be checked at least daily to ensure that drying is taking place properly. Equipment may need to be relocated or repositioned to address specific problem areas. 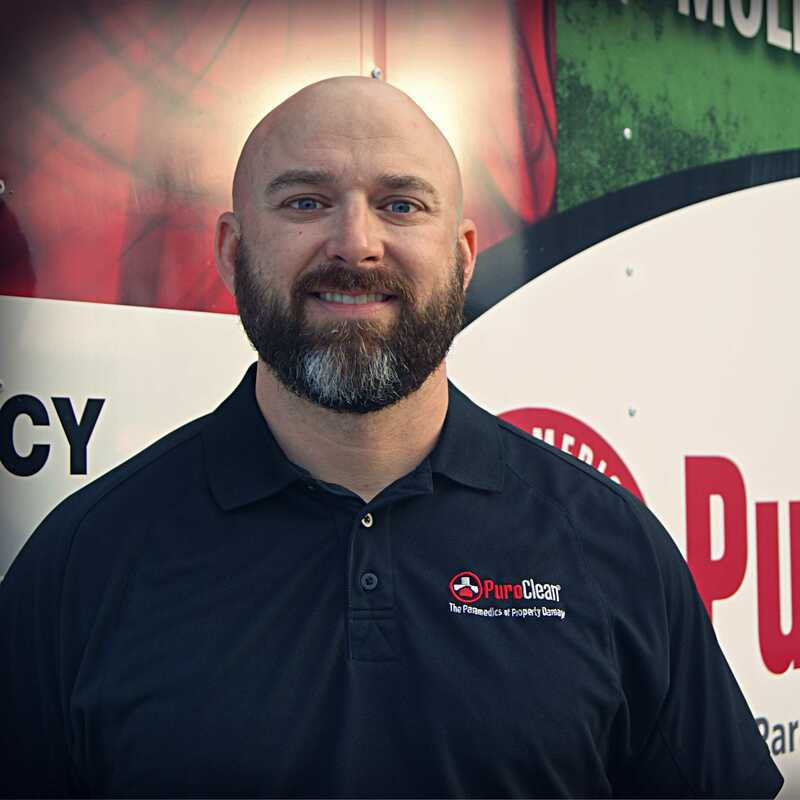 To avoid further damage and to ensure proper drying, our restoration professionals will visit the job site daily, at a minimum, armed with moisture detection devices and will check and recheck the progress of the drying, making any necessary adjustments to the drying system in place. Water removal as a result of upper level sources poses unique problems. Our restoration professionals must become detectives. They must find the water. Not just the obvious locations, but also the hidden water damage must be found. Water, if left untreated, will cause further problems. Mold can potentially become an issue. The structure must be properly dried utilizing professional meters and equipment to achieve a balanced drying system. Our restoration professionals will be able to find the water, dry it out, and return the property to a pre-loss condition rapidly and efficiently.